Are tanning references in TV a problem? Even if you didn’t watch Jersey Shore, you have likely seen images of the tanning obsessed cast in the tabloids. The recently canceled show with the motto “gym, tan, laundry,” and MTV are now under fire from the Skin Cancer Foundation (SCF) for promoting tanning to teens and young adults. The SCF audited season three of Jersey Shore and found 186 references to tanning in just 17 episodes, and 48 images of tanning throughout the series’ third season. They believe the focus on tanning in the series implies that tanning is necessary for social acceptance. This September, the SCF asked MTV to include warnings with each episode alerting viewers to the danger of tanning. MTV refused, which provoked the SCF to file a complaint with the FTC under the Unfair or Deceptive Acts or Practices section of the FTC Act. The SCF is worried that pro-tanning messages will continue in spin-offs such as Snooki & JWoww, a reality television series on MTV starring Nicole “Snooki” Polizzi (pictured above) and Jennifer “JWoww” Farley from Jersey Shore. According to the SCF, just one indoor tanning session increases users’ chances of developing melanoma by 20 percent, and each additional session during the same year boosts the risk almost another two percent. What are your thoughts? Do you think shows such as Jersey Shore push real teens to tan? Should something be done? Look around and you’ll start seeing more parasols (a.k.a. 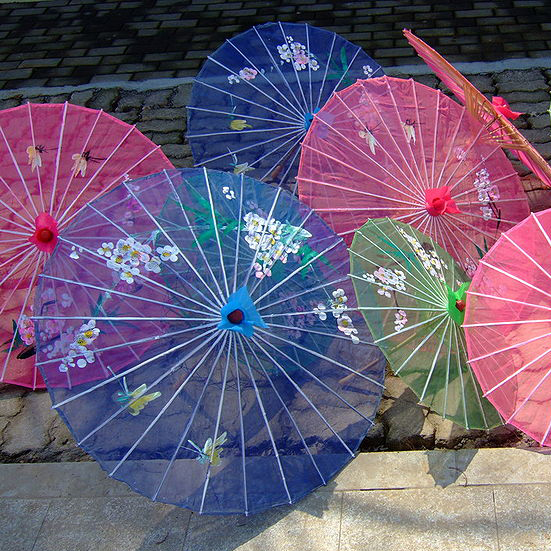 umbrellas) on sunny days. That’s right, no rain, just in pure wonderful sunshine. Why? They’re not only a great addition to your outfit, but they help block the sun’s ultraviolet rays that can cause premature aging and skin cancer. What’s not to love?! Large arch. A parasol with a large arch will block more UV from the side. Dark interior. The darker the color, the better the umbrella will absorb reflective UV rays. Reflective or dark exterior. A reflective exterior will deflect more UV and keep you cooler. 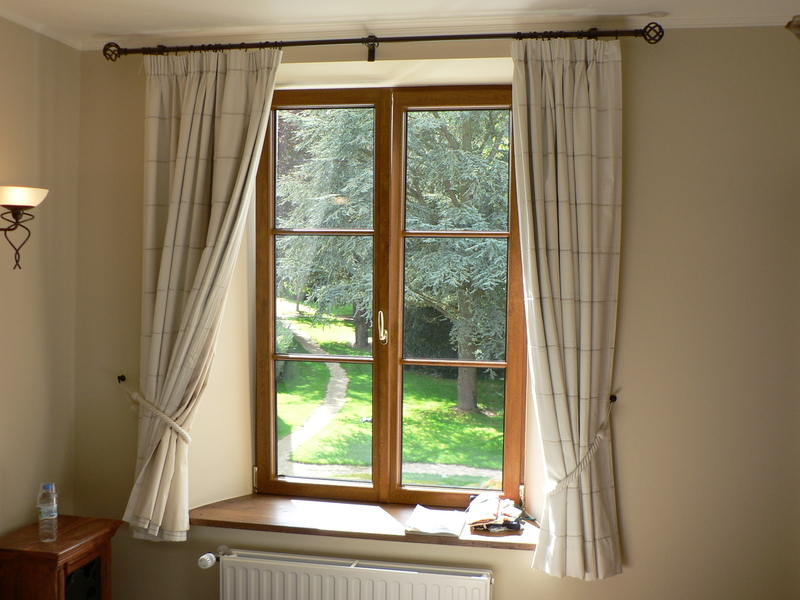 A dark material will absorb UV. UPF 30 or higher ratings. Some parasols will provide a UPF rating. 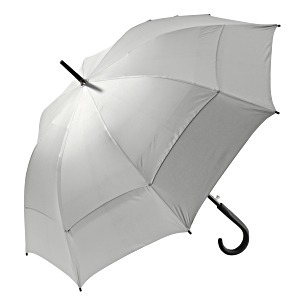 An umbrella rated UPF 50+ will block 98% or higher of direct UVA and UVB rays. Remember UV rays bounce off pavement, water, sand and other reflective surfaces. Applying broad-spectrum sunscreen with an SPF 30 or higher, sun protective clothing and UV sunglasses will offer even greater sun protection. Stay beautiful and on trend. Use sun protection and parasols. Shop Coolibar UPF 50 Umbrellas and Shade. Is your shade structure shading your kids enough? As a mom of two active boys I have attended hundreds of sporting events. For shade and sun protection I bring our portable beach umbrella or canopy. Over the years, I have noticed that portable umbrellas and canopies only provide minimal sun protection. Most portable umbrellas and canopies do not block UVA or UVB rays, they provide only a limited shade area (the largest of which is when the sun is directly overhead) and they do not block the UV rays that are reflected off of the ground. When I researched reflected UV rays, I was shocked to learn that up to 1/3 of cancer causing UV rays can reach your skin while you are sitting in the shade. One such study in New Zealand concluded that shade structures with side on walls provided the best protection from UV rays. My frustration with portable shade structures and their inability to provide adequate shade and sun protection lead me to start my company, Solar Eclipz, and to develop the ezShade. The patented ezShade is the only portable sun-shield that blocks over 99% UVA/UVB rays and instantly attaches to any nylon/poly umbrella or canopy. Our company’s focus is to educate the public on the harm caused by reflected UV rays and the need for staying sun-safe and I hope that this post too will help you enjoy a sun-safe summer. With the temperature soaring and the sun shining brighter, chances are you want to keep your little one safe from the sun. While you’d love to keep them indoors all day, you know you really can’t do that. However, what you CAN do is keep them sun safe by choosing products that provide and boost UV protection, easily and effectively. Yes, every toddler needs a good sun hat. Luckily for you, Coolibar offers you some great options. Choose a sun hat that shades most of the face and keeps the sun’s rays away from sensitive skin. Also, don’t just get one sun hat. Get a couple. Preschoolers are always losing stuff or getting them dirty. Sunglasses are not only for adults. You need to keep your preschooler’s eyes safe from the sun’s rays as well. However, don’t just go out and buy any pair of sunglasses. Look around for a brand that’s trusted and certified. Also, take the little one when you go shopping so that you can try on the pair for fit and comfort. Sun protective clothes can be a life-saver, especially when you’re at the park or the beach. While you can get special sun protective clothes, you should also make sure that regular clothes offer adequate sun protection. Long sleeves, light colors, cotton fiber are some things to look for when choosing outdoor summer wear for the kids. Never, ever send your toddler out to play without slathering on the sunscreen. Choose a brand that is kid-friendly and child-appropriate. Blue Lizard and UV Natural both have SPF 30+ sunscreens available for kids. Make sure you apply the sunscreen at least 15 to 20 minutes before they go out to play and reapply it, if they go swimming or wash their faces. 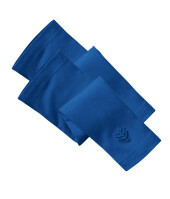 Also, don’t forget the BEENS or Back of knees, Ears, Eye area, Neck, and Scalp to ensure full coverage. And finally, make sure that when they play outside or spend time on the beach, they have adequate shade and sun protection. 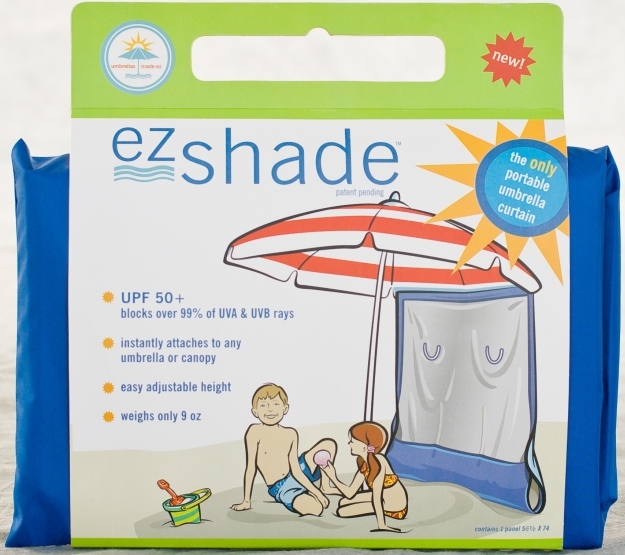 Using a portable shade such as the ezShade will not only increase the protection that an umbrella offers, it will also keep kids sun-safe without blocking out their fun. Keeping preschoolers safe in the sun does not need a LOT of effort. Just a few must-have products can help summer be fun and safe for your on-the-go, active toddler. So, go ahead and get equipped for the most enjoyable, sun-safe season ever! 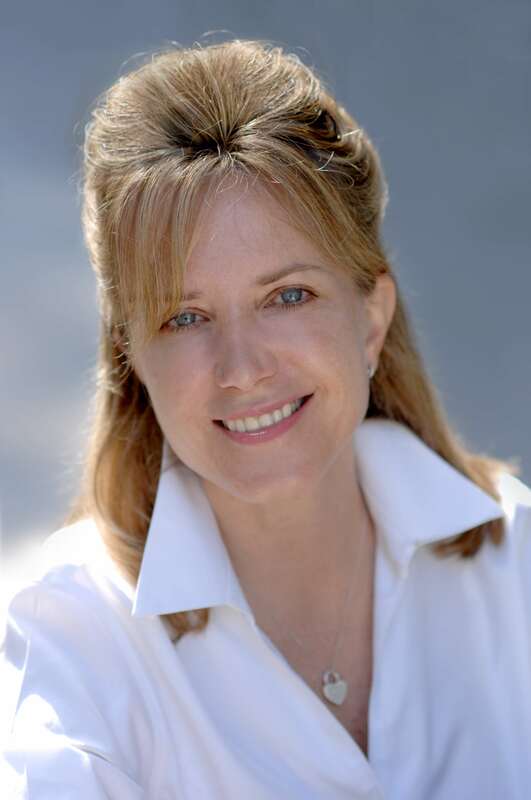 About the Author: Linda Varga is the founder of Solar Eclipz and inventor of the ezShade, www.myezshade.com, an award-winning sun shield that instantly attaches to any umbrella/canopy, blocks over 99% UVA/UVB rays, doubles your shade, and keeps you cooler all day long. Get your Solar Eclipz ezShade now at Coolibar. See our full line of UPF 50+ Sun Umbrellas & Shelters. Australia to Ban Tanning Beds for All? Is the U.S. Next? Australia has the highest rate of melanoma in the world. For decades they have been taking measures to reduce the number of skin cancers by encouraging the use of sun protection through public health campaigns. Now, Australia is taking their sun safety efforts to the next level. In February, New South Whales (NSW), the most heavily populated state is Australia, declared they will prohibit the use of commercial tanning beds, regardless of age, by 2015. 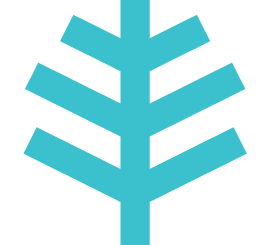 This solarium ban (Australian jargon for tanning bed) will not take effect for approximately three years. Greens NSW Member of Parliament John Kaye claims this is too long to wait. He says during the time leading up to the ban, up to 43 will die from cancer related illnesses that likely could have been prevented if an immediate ban was imposed. 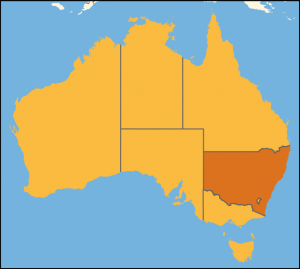 According to NSW government, a three year wait is necessary in order to give solarium businesses time to diversify. On a global scale, stricter tanning bed regulations and complete bans have been rising over the last few years. In 2009, Brazil was the first country in the world to ban tanning beds altogether after the World Health Organization declared ultraviolet radiation from tanning beds to be a class 1 carcinogen. Asbestos and cigarettes are in the same category. In 2011, California announced a ban of tanning beds use for those under 18 years of age. This law is similar to France, England and Wales, all countries taking action on the topic of concern. NSW seems to be helping push the anti-tanning movement forward. After their announcement, other Australian states have also begun talking about banning solariums in addition to New Zealand, which also has one of the highest skin cancer rates in the world. Parts of Canada and U.S. states are also currently considering stricter regulations for tanning beds. What are your thoughts about tanning bed bans? Should teens be able to decide whether or not to use tanning beds? 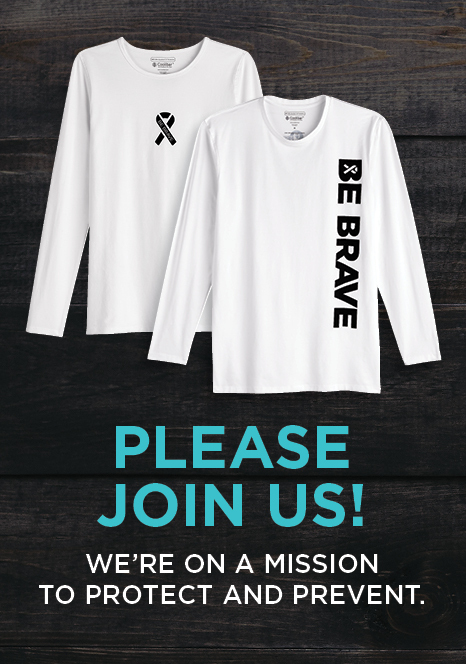 According to Aim at Melanoma Foundation, using a tanning bed before the age of 20 doubles a person’s risk of developing melanoma, the deadliest form of skin cancer. Even more staggering is that 28 million individuals in the U.S. use tanning beds each year despite the statistics, which includes 2.3 million teens. On Sunday, October 9, 2011, Governor Jerry Brown signed a bill making California the first state to prohibit minors from using tanning beds. The only exception is if a minor obtains written consent from a medical professional that they’re tanning due to a medical condition. This law will go into effect on January 1, 2012. Multiple health organizations including the American Academy of Dermatology (AAD) are praising the governor for taking action. Prior to the ban, the state allowed those between 14 and 17 years of age to use tanning beds with parental consent. Thirty-one other states have similar laws restricting minors from using tanning beds without parental consent. The remaining 18 states have no restrictions. This is frightening not only because teens who tan put their health at risk, but also because adolescents choosing to tan are still developing their decision making skills and may make bad or uneducated decisions that will affect their quality of life down the road. On top of the cognitive development argument, there is a lack of awareness on the dangers of tanning. “Many parents may not be aware that melanoma is the most common skin cancer in children, followed by basal cell and squamous cell carcinomas,” Dr. Thomas Rohrer, Secretary of the American Society for Dermatologic Surgery. Many tanning salons tout that tanning beds are safer than outdoor tanning as they use UVA rays or that it’s good to get a base tan before vacationing in warm regions. These claims are false. UVA rays (aging rays) are not safer than UVB rays (burning) rays and numerous studies have proven this. Additionally, getting a base tan before a sunny vacation is equivalent to the sun protection of a SPF 3 or less, and the AAD suggests using SPF 30+ broad-spectrum sunscreen and sun protective clothing for adequate sun protection. Based on this information, would you be comfortable having your teen use a tanning bed? For every parent residing outside of the state of California, that’s for you, or your teen, to decide. Michigan news broadcast with dermatologist insights on tanning beds. Have you ever wondered why your loved one can’t get enough of the tanning bed? They are, after all, very health conscious, they don’t smoke, they exercise and eat an organic diet. Why then would they continue to use tanning beds knowing the potential risks? Science can shed some new light on the subject. According to a recent study, tanning beds may have people “hooked” for more than cosmetic reasons. With risks such as premature aging, skin cancer or even death associated with tanning beds, the scientific community has long thought that tanning could possibly be addictive. Now, new research provides evidence to back-up this theory. Dr. Bryon Adinoff, professor of psychiatry at the University of Texas South Medical Center and leader of the tanning addiction study featured in journal Addiction Biology, says the brain is responding to UV light. 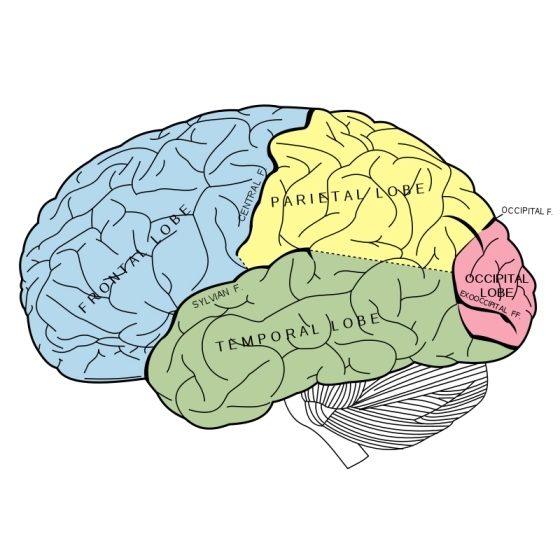 It’s triggering the areas that are linked with reward. The same areas that activate when someone takes a drag off a cigarette or eats a sweet treat. To reach this conclusion, Dr. Adinoff and his team assembled a group of frequent tanning bed users and monitored their brain activity during tanning bed use. The users were split into two groups: group one used beds with real UV rays; and group two, without being told, used tanning beds with fake UV light. The results were clear. 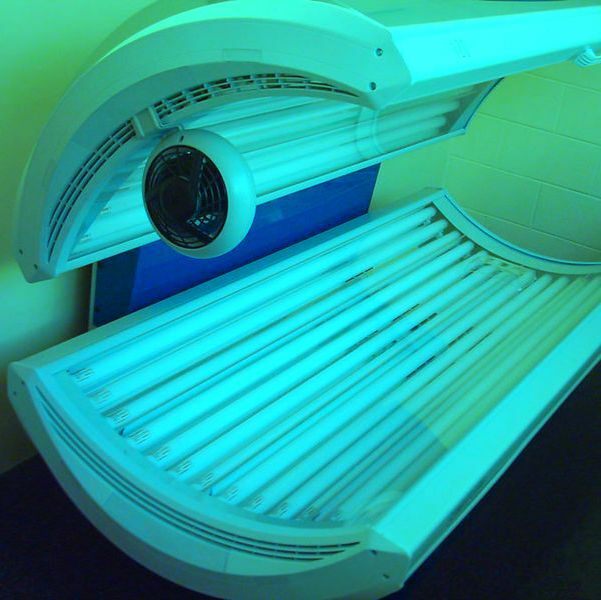 The subjects in the real UV tanning beds showed brain activity in the reward and addiction areas. Just Say No – To Tanning! Each year high school and college students around the U.S. take off for sunny destinations around the world to celebrate Spring Break. 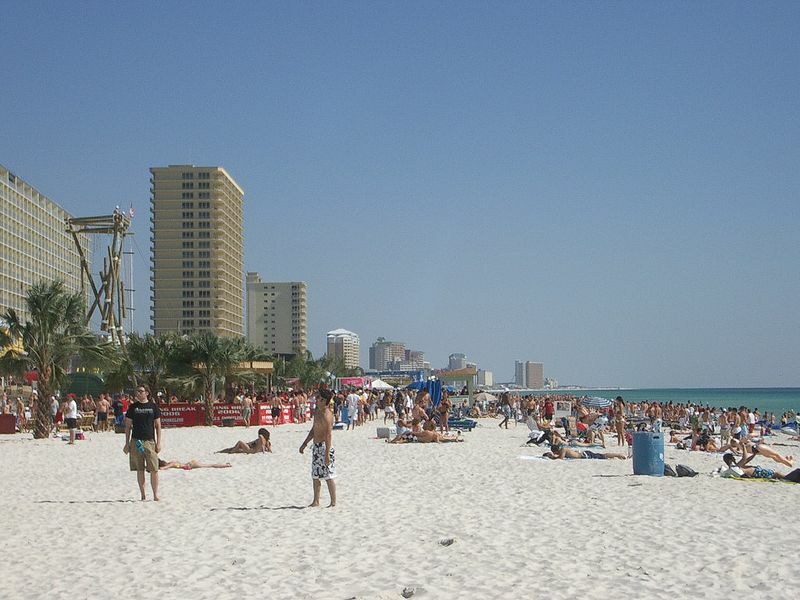 While these vacations can be a necessary escape from the stress of school, they also spur an increase of unnecessary tanning bed use among teens and young adults trying to obtain a ‘base’ tan prior to their departure. There are numerous myths created by the tanning industry regarding the supposed benefits of tanning. Last year, the American Academy of Dermatology released results from a survey they conducted to determine if people can separate sun protection facts from myths. One question in the survey asked respondents if it was a fact or myth that getting a base tan is a healthy way to protect skin from sun damage. Only 48 percent of respondents knew the statement was false. A base tan offers the equivalent of an SPF 4 or less, so very little to no protection. The fact is that a tan is a sign of damage to the skin from UV radiation. Every time a person tans, the skin becomes damaged and this damage accumulates over time, which accelerates the skin aging process and increases a person’s risk for skin cancer. The damage caused by the UV radiation emitted by the sun and tanning beds is often irreversible. Premature skin aging caused by UV exposure includes fine wrinkles, deep grooves, blotchiness, sagging and a leathery texture in the skin. Some of these changes may appear as early as the age of 20 in anyone who has spent a great deal of time exposing their skin to UV radiation during childhood and teen years. The International Agency for Research on Cancer, a branch of the World Health Organization, has undeniably linked tanning bed use among young people to skin cancer including melanoma, the deadliest form of skin cancer. They found the link between youthful tanning bed use and melanoma was “prominent and consistent”— a 75 percent increase in risk of melanoma among those who first used tanning beds in their twenties or teen years. The study also found no positive health effects of using a tanning booth, contradicting what tanning salons have used as a selling point. So, would you like some alternatives to getting a base tan for sun protection during your Spring Break? If you still desire a tan look, get a spray tan or use a self-tanning lotion or spray. But remember that using these methods to create a tan look does not mean you’re immune from sun damage. You should still apply a SPF 30 broad-spectrum sunscreen for UV protection. Otherwise, wear sun protective clothing if you don’t want to worry about reapplying sunscreen frequently. Each year we observe President’s Day on the third Monday in February. For some reason, this particular President’s Day got me thinking about the days of old (or the days when George Washington was President) when pale skin was in. In fact, women before the 1920s used to use skin whitening methods to keep as much of a milky white tone as possible. This symbolized a high social status as outdoor workers, who were considered lower class, carried a tan appearance. So why did this change over the years, and where are we now? 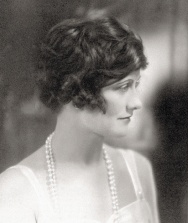 It’s argued that Gabrielle “Coco” Chanel (pictured above), a revolutionary French fashion designer of the 20th century, started the tanning trend by mistake. While visiting the French Riviera in the 1920s, she accidentally got sunburn. In doing so, bronzed skin became a symbol of glamour rather than peasantry as her large following instantly adopted this look. By the end of the decade, the poor had left the fields for factories, and, helped along by Chanel, the trend for tan skin began. Between Chanel, the industrial revolution, women’s magazine advertisements encouraging tanning in the 1940’s, the premiere of the bikini in 1946, the introduction of tanning beds in the late 70’s early 80’s, tan skin became, what seemed, acceptable, fashionable and easily obtainable. Years later, we know better. This trend of the past century has left us with skyrocketing skin cancer rates and many with prematurely aging skin. Currently, more people seem to be wising-up, protecting their skin, and “going with their own glow”. If you were once a part of the tan fad that is now out, you may not be able to reverse the damage that has been done. But the good news is that you can take action now. Start protecting your skin from the sun and get back your natural glow. So how do you keep that natural skin tone glowing? First, avoid unprotected UV exposure as much as possible. Second, wear sun protective clothing, including a hat with a three-inch brim or greater, along with UV sunglasses. Then apply a generous amount of sunscreen, with SPF 30 or higher, 20 minutes before heading outdoors. Try a broad-spectrum sunscreen such as Soleo Organics, SolBar, or Vanicream. Do this, and your skin will be naturally glowing in no time!